What do you do with hundreds of extra race t-shirts? Make tote bags from them of course! A local non-profit held a 5k that essentially got rained out and lots of racers didn’t show. Result? Gazillions of extra shirts sitting in boxes in a back office. I was looking for a volunteer project for January and viola, say hello to my new gig as a Master T-Shirt Bag Maker. The organization will use the bags for thank you gifts and goodie bags for sponsors, clients, etc. I think its a really unique idea and cool way to repurpose shirts when original plans for them went awry! Volunteers are using this tutorial to make the bags and after a couple of practice runs using old shirts of my own, I got the hang of it and whipped out twenty of them. 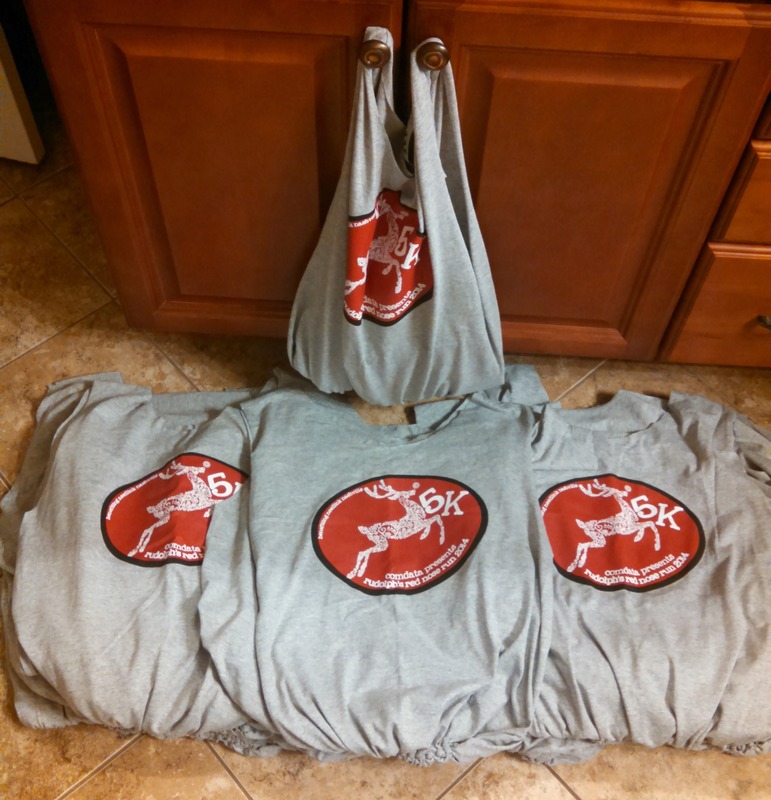 I delivered them today and came home with twenty more shirts to make into more bags. This is a no sew project, or else I wouldn’t be able to help because my crafty skills do NOT extend to needle, thread, or sewing machine.